Cantrell's Heat & Air, Inc.
Champion Heating and Air Conditioning, Inc.
Admiral Heating and Air Conditioning, Inc.
Brooks Heating and Air, Inc. Comment: Have 20 yr old gas package and a split unit needing to be replaced. 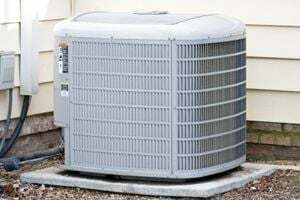 Comment: I have a 2 story home with 2 A/C units, but the downstairs unit isn’t keeping up and has been leaking some Freon which is the obsolete kind. I need to replace the combo A/C gas furnace for the downstairs unit that covers about 1,250 square feet with 9ft ceilings. Comment: Outside compressor is running. Compressor cooling fan is not running. United Services of Kingsport, Inc.
Knoxville HVAC & Air Conditioning Contractors are rated 4.68 out of 5 based on 373 reviews of 22 pros. Not Looking for Air Conditioning Contractors in Knoxville, TN?